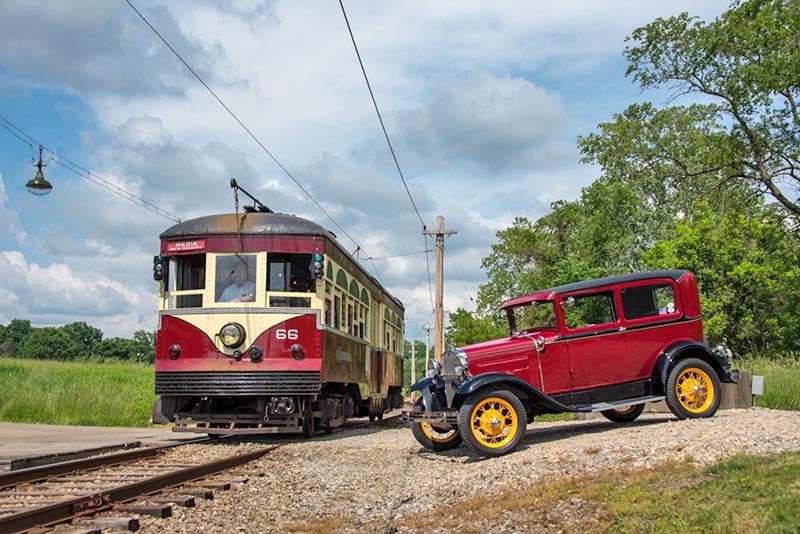 One of the oldest traction preservation groups in America, the Pennsylvania Trolley Museum can trace its roots back to 1949 when a group of Pittsburgh railfans acquired their first car from Pittsburgh Railways in 1949. Soon the collection grew and was moved to to its present site in Washington, Pa., 1954, with the museum first opening to the public in 1963. Enjoying steady growth since then, PTM is moving forward with several new projects as the summer unfolds. The museum unveiled its “On the Track for the Future” capital campaign which will result in a significant expansion of the museum grounds. 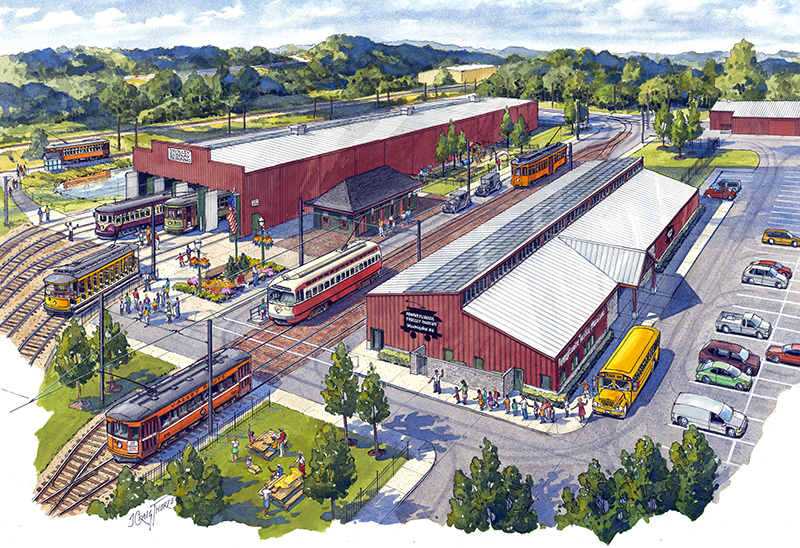 The campaign has already generated $10 million in grants and will fund a new visitors’ center and an area known as “Trolley Street” that will provide an educational experience as visitors ride the streetcars. 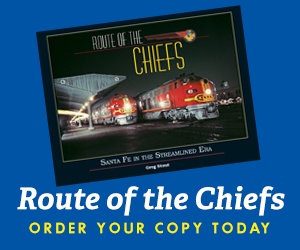 The campaign was announced as part of the West Penn Traction Meet held at the museum in June. 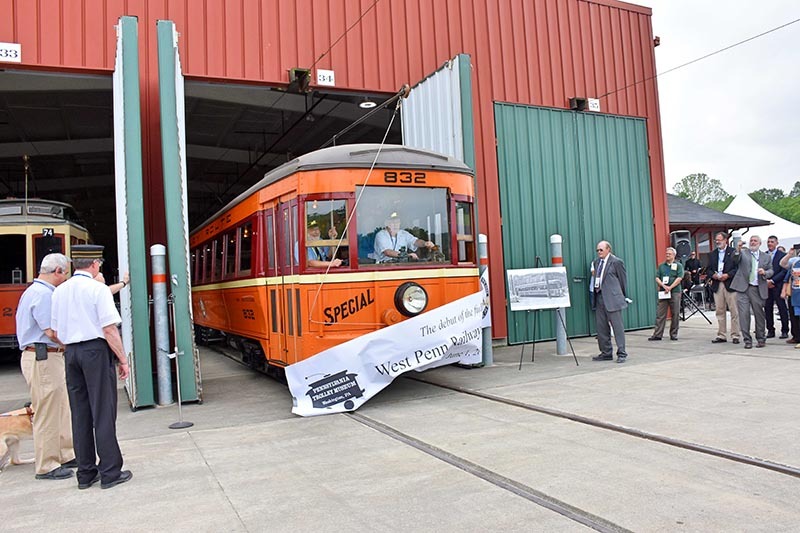 Also highlighting the meet was the unveiling of newly restored West Penn Railways streetcar 832, which was one of the first cars acquired by the museum. The car was built in 1929 by Cincinnati Car Company, with significant rebuilding and restoration taking place at Brookville Equipment in Brookville, Pa. Also running during the West Penn meet were Philadelphia PCC 2711 and Red Arrow (Philadelphia Suburban Transportation) center-door car 66, as well as a variety of other cars from Philadelphia, Pittsburgh, and other cities. Visit their web site for more information. 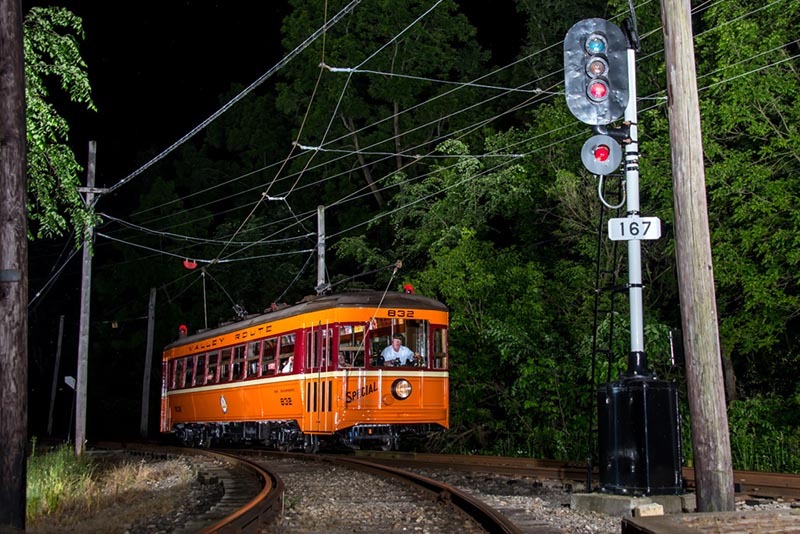 Philadelphia PCC 2711 rolls through the Allison stop on PTM’s demonstration line. The route includes two loops and three other on-line stations. It’s all maroon-and-cream as Philadelphia Suburban Transportation (Red Arrow Lines) center-door car 66 meets an auto wearing coordinating colors. 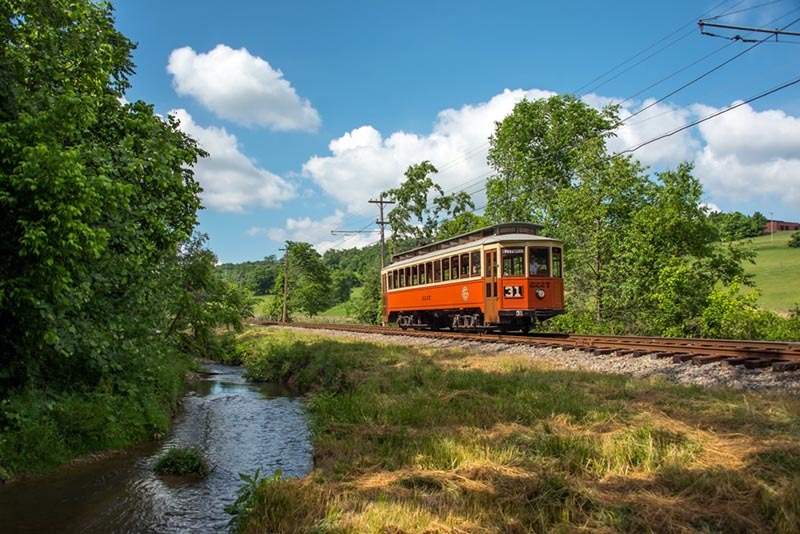 Cincinnati Street Railway car 2227 passes through the bucolic scenery along PTM’s route in western Pennsylvania. 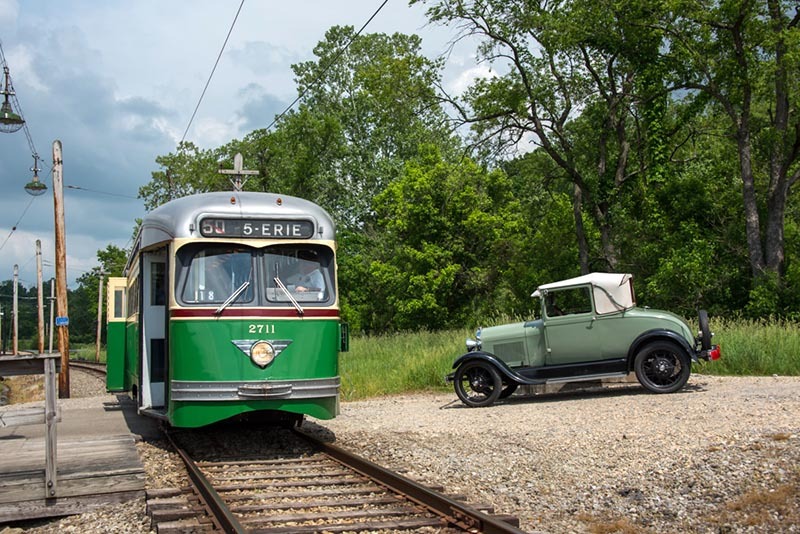 Car 2227 was built by Cincinnati Car Company in 1919 and was acquired by the museum in 2009 from the defunct Trolleyville USA collection in Ohio. West Penn Railways car 832 was used as part of a night photo session for the West Penn Traction Meet, posing at the Arden Mines Loop at the north end of the line.